Today we’re introducing Lilith, one of the three heroines accompanying Setsuna on his pilgrimage throughout Tokyo Babel. Lilith —also known as the Witch of the Night— rescues Setsuna from a world on the brink of destruction and brings him back to Tokyo Babel in order utilize his numerous combat abilities. Lilith’s gambit ends up being on the mark as Setsuna proves that he can fight against even the most powerful of foes. At first it seems that Lilith considers Setsuna to be just another expendable piece, but soon enough his existence influences her beyond her wildest dreams. For better or worse their fates are intertwined as they attempt to topple every obstacle in their path on the way to Gates of Heaven. A nomad for the better part of her life, she can only find true joy in things that are amusing. After learning of Setsuna’s past she realizes that having an identity forced on you can only spell doom. Acting according to one’s will is better than being a slave to someone else’s whims. Only after spending time with Setsuna can she see a future where she can change reality with her own strength. In light of that fact, she does her best to hone Setsuna’s combat abilities, always standing by his side to support him in times of great tribulation. The closer their bond becomes the more willing she is to talk about her past and the secret behind her powers. Her raison d’etre being one of deception, she manipulates shadows to defeat her foes before they even have a chance to react. Though her raison d’etre is powerful she cannot help but question its origins. And so, amidst the growing turmoil in Tokyo Babel, Lilith’s search for answers leads her to confront her past and find her true self among the many memories she has acquired. 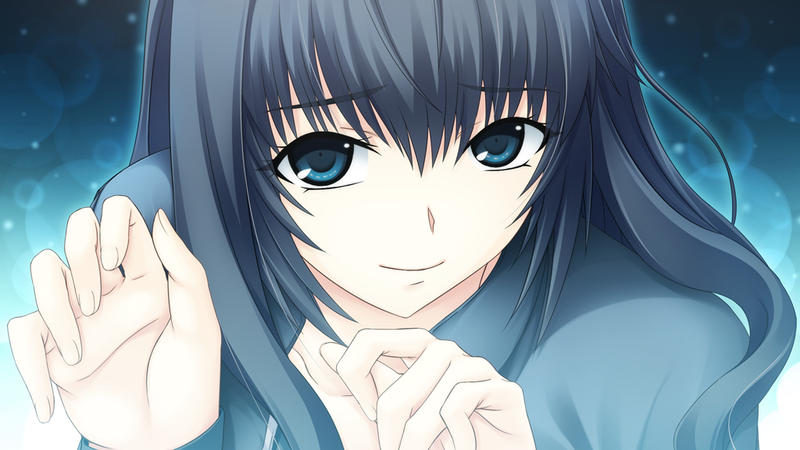 Suffice it to say, the theme of identity plays a large role in the bulk of Lilith’s route. Are memories sufficient enough to forge a unique identity or is something more necessary? Does lacking a raison d’etre mean one is not living truthfully? One’s raison d’etre and having identity are intrinsically connected in Lilith’s eyes. The fragmentation of the self is a prevalent theme throughout Tokyo Babel and makes itself known all the way up to the final fight in Lilith’s route. Are you brave enough to step foot into Tokyo Babel and unravel the mysteries behind Lilith’s raison d’etre? Who will remain victorious in the contest of wills? Lilith is voiced by Sawashiro Miyuki, who you might know from her anime roles such as Shinku from Rozen Maiden, Perrine from Strike Witches, Celty from Durarara! !, Haruka from Uta no Prince-sama, and Fukawa from Danganronpa! You can pick up Tokyo Babel right now from MangaGamer.com or if you’re waiting for it to unlock on Steam, it’ll only be a few more hours! « The House in Fata Morgana Now Available for Pre-order!